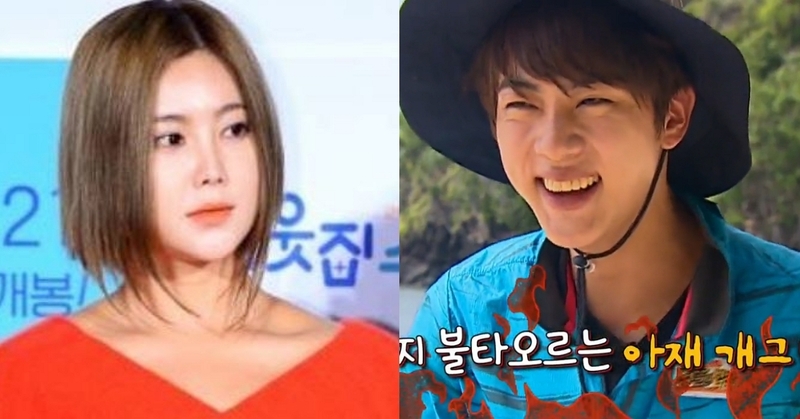 Singer Solbi, who has appeared on SBS Law of the Jungle with BTS' Jin, praised his personality. Solbi appeared on MBC Every1 Video Star on July 17, and said, "If you look at BTS Jin, you'll see why they succeeded." She explained, "When I went to the jungle with him, he actively approached people first, and tried to be friendly to everyone. He wasn't shy at all." She also told an episode of texting him, saying, "I sent him my congratulation as soon as BTS topped Billboard, then he replied right away. Jin never forgot to reply. His personality is really so nice." 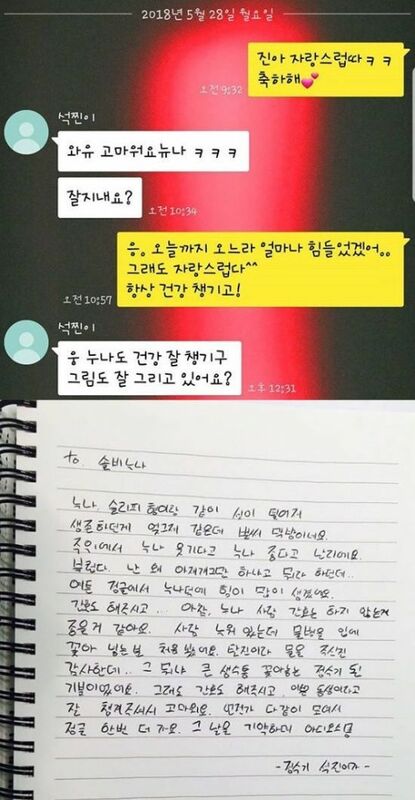 In May, Solbi showed off her acquaintance with Jin by uploading the conversation she had with him. According to the screenshot she revealed, as she sent, "Jin, I'm so proud. Congratulations," Jin answered back, "Wow, thanks noona. How are you doing?" As Solbi tried to wrap up the conversation by saying, "You must have had a hard time coming all the way until here. I'm proud of you. Take care! ", Jin carried out the talk by saying, "Take care of your health too, noona. And are you also doing well with drawing?" Even though he replied 1~2 hours later, probably due to a busy schedule, he still asked how she has been and didn't show any hint of being tired or busy. Singer Sleepy who was also together at the jungle also complimented Jin. He said, "I became close to Jin at the jungle, so I texted him and got a reply, both when he won an award and when he ranked No.1 on Billboard. He's very kind." He also added, "When I took a screenshot of the conversation and uploaded it on my social media, followers increased by 5,000 in just an hour."